mango, tangerine, orange and watermelon blend. Scented in a fresh and floraly white tea and ginger. Coconut citrus sorbet. Very moisterizing. Lavender scented. comes in a 4oz. tin. Great for relaxing at the end of a long day. Pearberry scented. Comes in a 4oz. tin. Great for anytime of day. The smell of the beach and ocean water. Sweet strawberry scent. Smells like a real strawberry candy. $2.00 for EACH bag. filled with laved scented salt and plenty of good smelling herbs and other oils too. 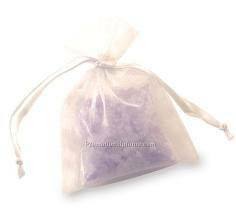 lavender scented salts in a bag with plenty of lavender herbs and other good yummy scented oils too. only $2.00 EACH. lavender scented sachet bags with salts herbs and plenty of good smelling and healthy oils too.